Also running a variation of the design on his car driving lid at the Monza Rally, which he won in December, he says the art work is something that he's always loved and that the design is perfect. “Huichol art immediately intrigued me, because it uses many of my symbols, like the sun and moon or the turtle. 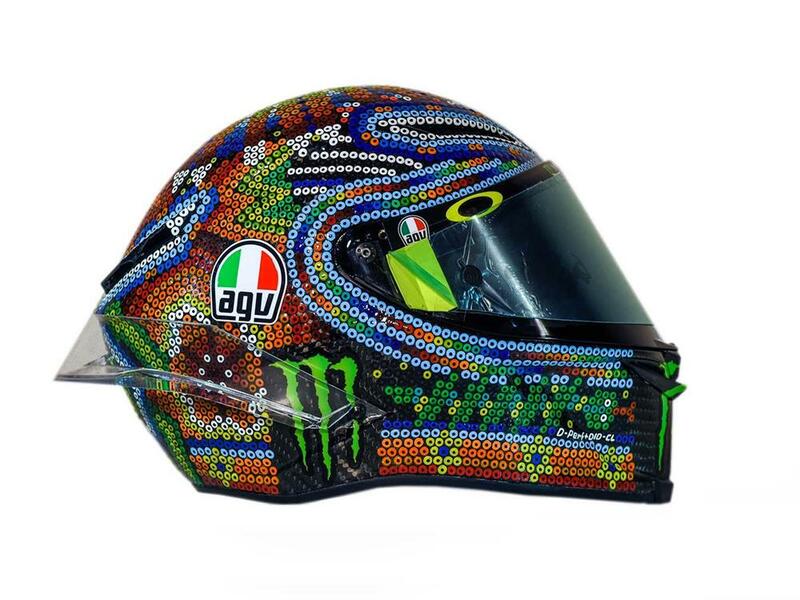 We have tried to recreate the effect of the beads that the Mexicans use to bring color and shape to these objects, but to do so with a Valentino Rossi twist. However, with MCN's sources saying that the design took almost a hundred hours to complete, Rossi won't be wanting to crash it when testing resumes on the 28th of this month at the Sepang circuit.